Stylish Quality - cheap pendant lights only in price! When choosing the best glass pendant lighting for the home, affordable mini pendant lights have become a popular choice. When you buy glass pendant lights you’re giving up the bulkiness that chandeliers typically have and these lights make for wonderful task lighting for kitchen workspaces. Discount mini pendant light fixtures make for focal points in all spaces while doing double duty as a great source of light. They are space-saving alternatives to table and floor lamps as they provide ambient light over greater surface areas. The shape and style of discount mini pendant light fixtures chosen by the home owner will depend on their home and how the lighting will be used. There are some things to consider when shopping for pendant lighting glass for sale. When browsing for inexpensive glass pendants, consider the finishes and materials used. Most commonly plastic, cloth, metal, and glass are used for pendant lighting. Glass that is clear diffuses light naturally and more effectively in every direction. This makes them great to use in bathrooms and kitchens. Metals that have a shiny finish such as brushed nickel or polished chrome will also reflect light. Drum-shaped lights with cloth material tend to collect dust easily. They are best used in living room areas where dusting can be done easily. 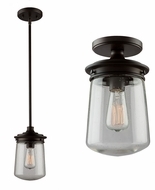 Plastic mini pendant lighting is the most inexpensive but can discolor over time. They are best used in nooks and corners less trafficked. This will help them last longer. Another thing to consider when choosing to buy glass pendant lights for the home is their size. A large light works well in entryways in which a single source of lighting is enough. This light can also be a focal point in that area. Big lights also work well over dining tables for those same reasons. Small or mini pendants at affordable price are fantastic alternatives when installing a track lighting system. The best mini pendant lighting will provide a bright yet less intense light all the way around which makes them work well in the kitchen. They should be hung in multiples and above eye level as to prevent any possible glare. When you buy glass pendant lights on sale the shade type will be what determines the direction the light is directed. Inverted pendants direct light upwards which can provide ambient light. Open bottom pendants direct light downward which makes them a great source of light for completing tasks for areas such as an island in the kitchen. The types of bulbs used in affordable mini pendant light appliances such as LED or traditional, will also need to be taken into consideration. Discount glass pendants which use LED bulbs tend to be a little more expensive, but they are a great source of task lighting. The style of the mini pendant light fixtures for sale, will be the determining factor of what type of bulb will be required. Another thing to remember is that the best mini pendants use an LED bulb will last longer as they do not need to be replaced as often as traditional bulbs used in affordable mini pendant lighting. Discount glass pendant lighting maybe listed at low prices, but cheap pendant lighting glass is still made of the highest quality and before you buy mini pendants you should consider whether you will be plugging them in or hard wiring them. When you buy glass pendant lights that plug in, they will require a cord long enough to reach the socket. When you buy glass pendant lighting that requires hard wiring you will get a more polished and clean look as there will be no wires showing. Hard wiring does require more labor but this is a better investment for something more permanent. Something else to consider when you are looking for the best mini pendant lights for sale is the height at which it will need to be hung. In dining areas they should suspend 30” or more over the table. Inexpensive mini pendant lights used in the kitchen should be at the least 30” above countertops. You also should keep the height of the tallest person in your home in mind as the inexpensive glass pendants will need to be 20” above that person’s head. In doing this, the person will not feel the need to duck when walking under the light. In most cases, any cords with glass pendant lights for sale should be about 4 to 6 feet long for a pendant that will be hardwired and 9 feet for pendants that will be plugged in. This will offer plenty of room for any adjustments that you may need to make when determining the perfect height to hang your new discount mini pendant lights. We offer a wide variety of the best mini pendant lights and inexpensive glass pendant lights in one convenient place. Feel free to browse the website and find the best sources of light for your home.